SONATS has developed a portable, compact and lightweight equipment: the STRESSVOYAGER® UNS*. This equipment is ideal for improving the productivity of your factories by allowing straightening or forming directly on the jig. 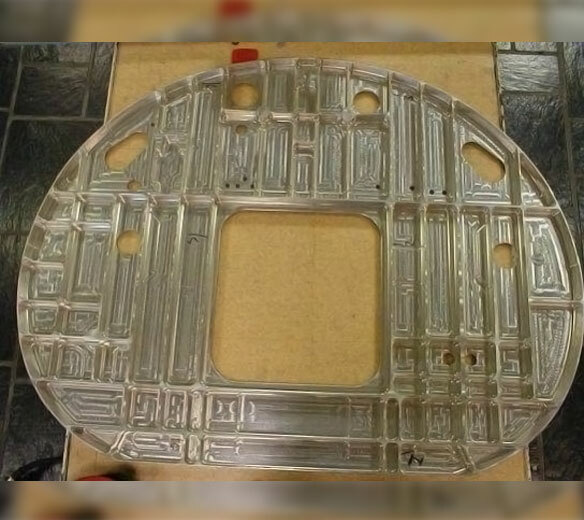 This equipment is particularly used in the aerospace industry for forming wing and fuselage panels. Moreover, thanks to the optimised design of the treatment head, its accessibility and its portability, the STRESSVOYAGER® UNS can be used to straighten complex geometry parts, with or without stiffeners, and of varying thickness (from 4 to 60mm). 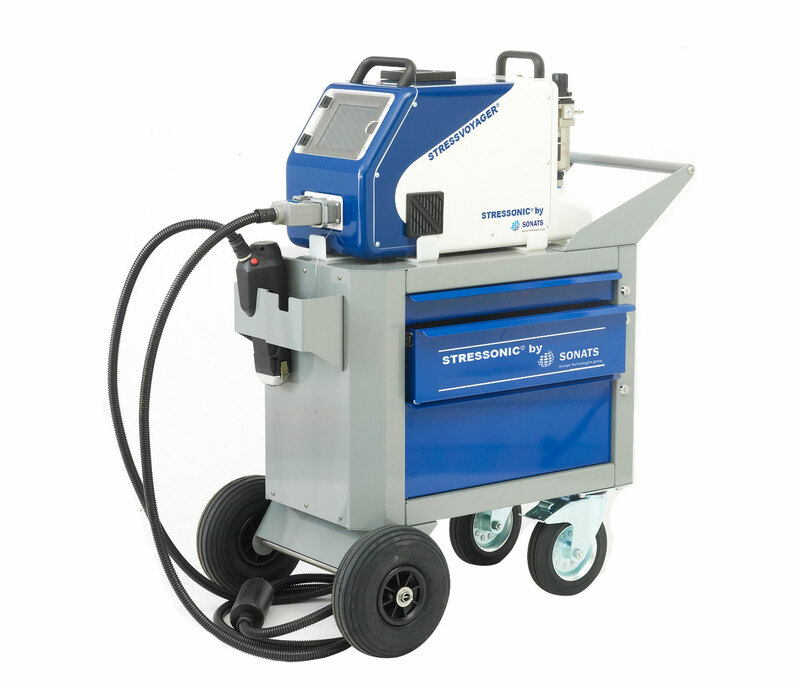 The portable equipment allows to precisely adjust the shape of the metal parts during the controls-measurements which are particularly important for the aeronautical industry. The STRESSVOYAGER® UNS facilitates efficient and safe operations for both the operator and the work piece. Straightening and forming operations are very fast and yet the vibrations of the treatment head are very weak, and there is no transfer of vibrations to the operator. Ultrasonic straightening operations will greatly reduce musculoskeletal disorders (MSDs) compared to conventional impact methods such as boiler making. Moreover, set-up by the operator is much improved by a simplified touch human-machine interface and a plug and play system. 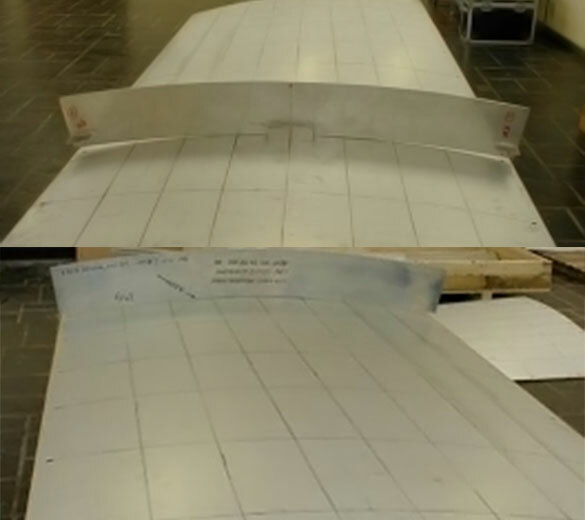 For optimum processing of a complex geometry stiffeners, the STRESSVOYAGER® UNS was equipped with an angled treatment head with an angle of up to 30°. There are other types of treatment heads and interchangeable end pieces (peening head) depending on the intensity and accessibility conditions. Following machining, particularly at the edge of its pockets, the frame was significantly deformed. To improve access to the areas to be treated, a specific treatment head was developed by SONATS. 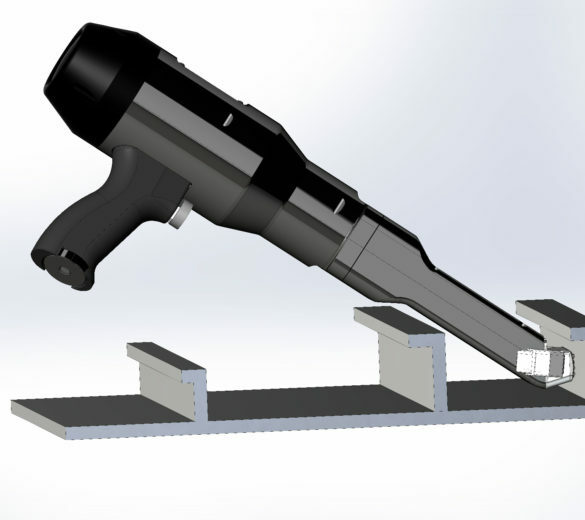 In the case of an aero-structure piece machined in a hard material such as a titanium alloy, the treatment head may be equipped with a specific end-piece (width of the end-piece, number and diameter of the impactors) for better efficiency. The straightening/forming action on the stiffener achieves the final shape and its adjustment directly on the final part. 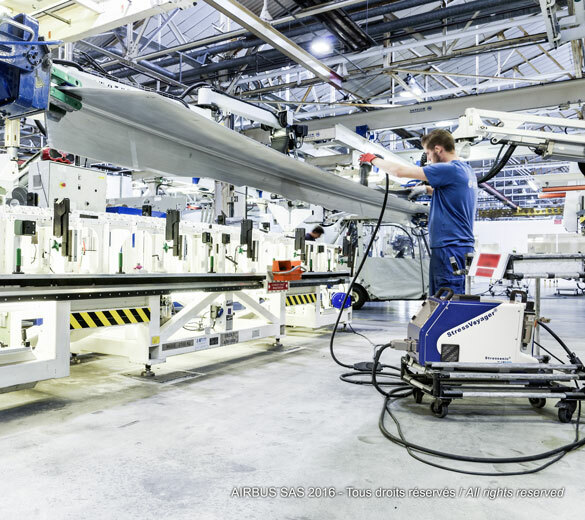 Use of STRESSVOYAGER® UNS equipment by Airbus to finalise the shape of the work piece after forming. The operator measures the deformation and carries out the straightening operation until the desired final shape is achieved. Our forming technique has been used for many years by the main prime contractors and equipment manufacturers of the military and commercial aeronautic sector.